When the season ends, athletes like to kick back and get far away from it all – mentally if not physically, too. Some travel, tend to outside businesses, write a book or ski and still others catch up on projects around their home(s). 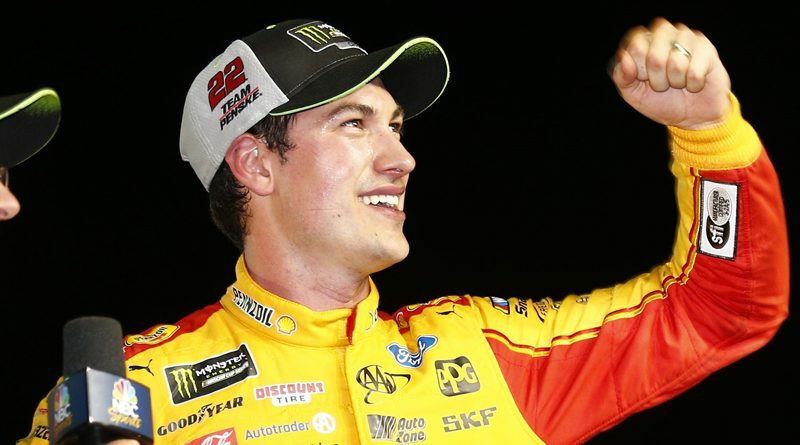 For Joey Logano, fresh off his first championship in the Monster Energy Cup, it was a time to celebrate. So he and wife Brittany spent New Year’s Eve in New York’s Times Square, watching the ball drop and reveling in their good fortune. The persistent rain that night failed to dampen their spirits. The new season, which gets going Sunday, Feb. 21, on Fox, with the Daytona 500, sees Logano coming in with a target on his back, not only because he’s the defending series champ but also due to his aggressive driving style. The 28-year-old Connecticut native had a season to remember in 2018, one that included a springtime win at Talladega that ended a 36-race winless streak, a season-defining fall triumph over Martin Truex Jr. in Martinsville that sparked a war of words between the two drivers, and his clinching victory in the finale at Homestead. At Daytona, he seeks to pick up where he left off in South Florida last November – with a trip to Victory Lane in the Great American Race.